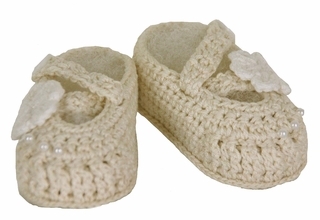 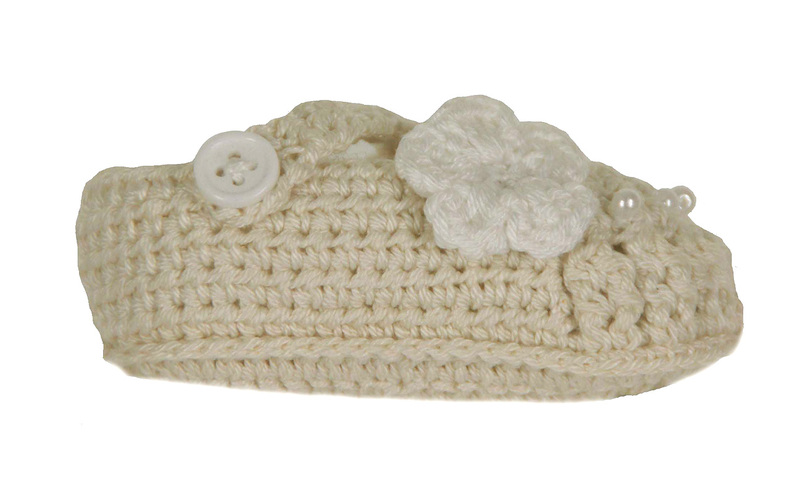 These are the sweetest little ivory hand crocheted cotton booties! The booties feature a white crocheted flower on the side, tiny seed pearls on the toe, and a unique crossover strap secured with a white button. Perfect for christening booties, a baby shower gift or a newborn baby gift!